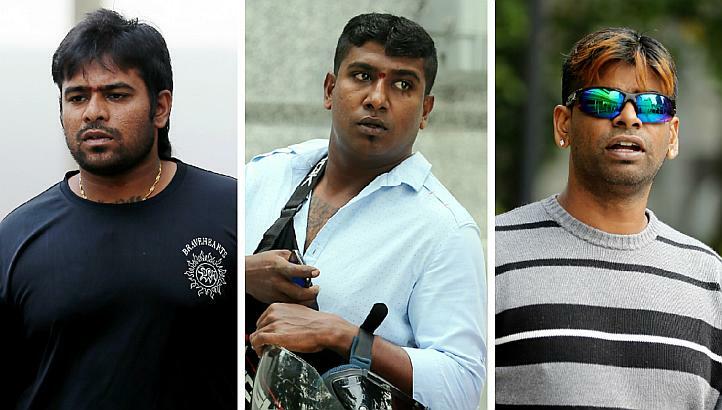 SINGAPORE – Three Singaporean men were charged in court on Saturday morning for disorderly behavior and attacking police officers at a Thaipusam event held earlier in the week. Ramachandra Chandramohan, 32, was alleged to have punched, kicked and verbally abused four police officers. He was also charged with disorderly behavior and faces seven charges in total, the highest number among the trio. Jaya Kumar Krishnasamy, 28, faces three charges. He was charged with disorderly behavior, allegedly hurling vulgarities at a police officer and obstructing another police officer from carrying out his duties. Gunasegaran Rajendran, 33, faces a disorderly behavior charge and is alleged to have abused a police officer. The three men were part of a group which hired drummers in the Thaipusam procession. The drummers were asked to stop playing by the police and a scuffle broke out. The trio are on police bail and their cases will be heard in court again on March 6. If convicted, they face maximum jail sentences of between three months and seven years, maximum fines of between $2,000 and $5,000, or both. Ramachandra Chandramohan is also liable to be caned if convicted of attacking police officers.